There’s nothing like a good cup of coffee to brighten your day and your mind. You can’t even imagine how incredibly excited I was when Dunkin’ Donuts finally built a location near me. Since opening we have made it a point of stopping in weekly during our grocery run. 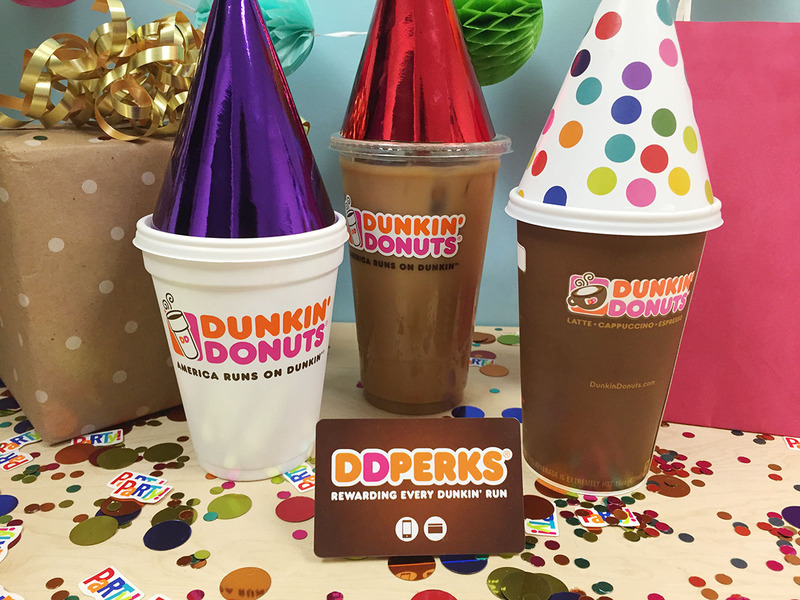 That’s why I was excited to announce the one year anniversary of Dunkin’ Donuts DD Perks® Rewards program, offering guests nationwide points toward free Dunkin’ Donuts beverages for every visit they make at participating Dunkin’ Donuts locations. They offer amazing hot coffee, now in dark roast, too! My daughter prefers her coffee over ice with a spritz of flavoring. However you enjoy it, every time you purchase with your enrolled DD Perks card you earn five points for every dollar spent on qualifying purchases. At only 200 DD Perks points you will receive a coupon good for a free, any-size beverage of your choice, with any purchase. Depending on your coffee habit, that could mean some serious Joe for you! 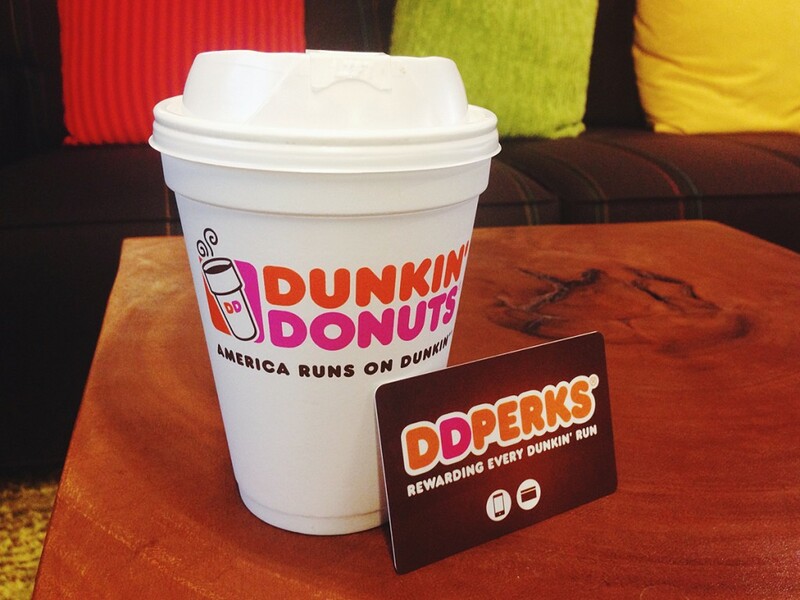 Right now through 2/22/15 you can also earn 2X Bonus Points on Dunkin’ Hot Coffee, so you could earn free coffee even faster! If you haven’t heard about DD Perks here’s the low down on how it works. Simply pay for your purchase with an enrolled Dunkin’ Donuts Card, either plastic or via the Dunkin’ Mobile® App (my personal preference). You card will be credit 5 points for every dollar spent on a qualifying purchase. Those points can then be redeemed for free beverages! It doesn’t take long… 200 points earns you a free beverage. If you’re an avid Dunkin’ Donuts lover or even a casual consumer and you haven’t signed up for the DD Perks program yet, consider doing so here using the code BLOG. It only take a few seconds… points earned quickly or slowly all result in the same reward… and the rewards just keep coming! Keep up with Dunkin’ Donuts’ by following @DunkinDonuts on Twitter or liking them on Facebook. 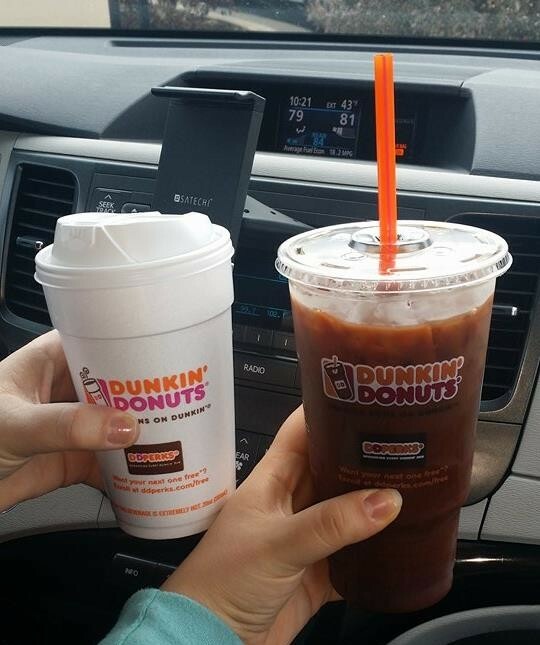 What is your favorite Dunkin’ Donuts coffee drink? Do you prefer it hot, like me or over ice? My entire family is addicted to Dunkin’! Glad they put a Dunkin Doughnuts near you :). I sure wish they would come back to my area. I actually like Dunkin Donuts iced coffee drinks better than other popular competitors AND their donuts rock my socks. This rewards program sounds great!